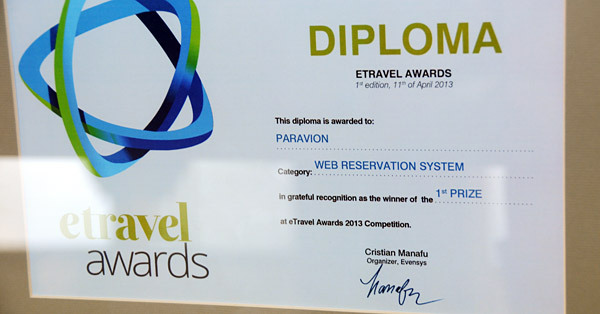 Yesterday was a big day for the Zitec team: one of the brands we’re working on was awarded no less than six awards at the eTravelConference, the first national event dedicated to e-commerce and online advertising for the tourism industry in Romania! Please give it up for Paravion.ro and the entire team that has built this project from ground up and worked on its brand identity, web reservations system and online marketing strategy and campaigns! We would also like to congratulate the Happy Tour team for winning the 2nd prize for Newsletter Design! 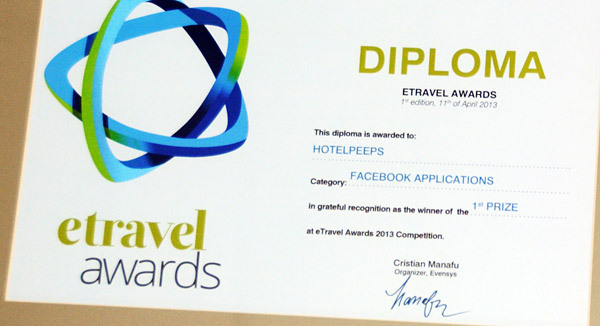 And last but not least, we must put our hands together for the HotelPeeps team, a Zitec project, for receiving the award for Best Facebook Application! Please feel free to congratulate them all!